DearMYRTLE's Genealogy Blog: Is there room for blogging in a YouTube world? DearREADERS, The evolution of technology may require slight adjustments as we strive to “get the word out” about an ancestor. 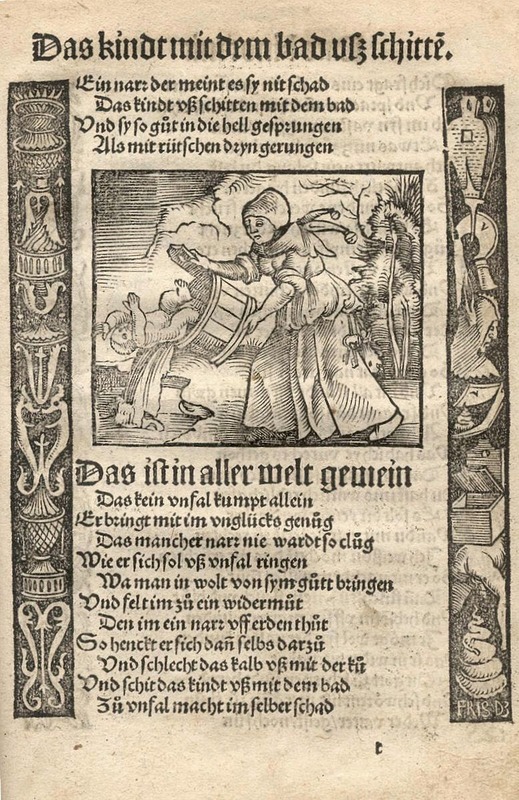 Our great-grandmother’s wisdom reminds us “don't throw out the baby with the bath water.” In fact the earliest known recording of this phrase dates back to Doktor Murners Narrenbeschwerung (1512). See WikiPedia. Our great-grandmother's advice applies when it comes to "old school" technology like hard-copy genealogy books, hand written letters, bible entries, email (the 21st century snail mail). genealogy mailing lists, message boards, internet radio podcasts, blogs and the like. WHAT PROMPTED THIS THINKING, MYRT? Randy Seaver created a compendium of posts about #NGS2014gen (The National Genealogical Society’s annual conference), this year held in Richmond, Virginia. In one version of this continually updated post, he questioned the lack of entries when he knew a number of bloggers were in attendance -- in essence "where are all the bloggers?" Gone to class, I'd say. Thankfully Randy noted Ol’ Myrt’s VIDEO-blogging, listing them one by one as Cousin Russ posted them from YouTube to DearMYRTLE’s Facebook and Google+ groups. MORE THAN ONE DOOR While Ol’ Myrt here now finds it easier to produce video instead of typed blog posts, we should remember that genealogists are a varied lot. Some will take better to the written word. Others will prefer short video clips, like those produced by Cousin Russ. Still others may revel in hour long webinars and 90 minute study groups in Hangout on Air format. RULES OF ENGAGEMENT To borrow a term from Mr. Myrt’s military background, “rules of engagement” to me means regardless of the tech, follow best practices for accurate reporting. So, YES, there is room for blogging in a YouTube world. This means giving credit where credit is due, citing sources with links to documents in question and quite simply getting past the myth. I totally agree with you, there IS room for both. I will continue to use both. It may be just me, but I think our readers have changed as well. I know I have. I learn differently now, than what I used to. Short Videos work for me, reading, not so much. The MGP Study Group is a great example for me. I learned more by the Discussion you lead on Sundays, in the community. I am pretty much changed how I blog about Family Tree Maker. Short Subject Videos, or as my daughter taught me "twitter" style. My Worthington Weblog will mostly be written. Not trying to teach, but to reflect how I research. It's it great to have options? I certainly hope there IS room for both ... I'm a writer, not a talking head. I feel more confident speaking from my keyboard than in front of a camera. I think through my fingers, so for me - video isn't an option.